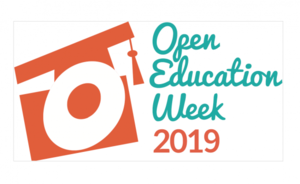 Key questions surrounding the creation and re-use of open educational resources were central to the panel discussion held on 8 March at TU Delft in occasion of Open Education Week. Merle de Kreuk, Education Fellow (faculty of Civil Engineering and Geosciences), Hans Hellendoorn, Director of Education (faculty of Mechanical, Maritime and Materials Engineering), and Calvin Rans, chair for the working group on Open and Online Education within the European Society for Engineering Education (SEFI) and Teacher of the Year (faculty of Aerospace Engineering) engaged with colleagues and educational support staff in the audience to find some answers and think of a common way forward. The panel discussed a number of statements with the audience. One of the topics were the factors that teachers find important in determining the quality of open resources. Firstly they felt that a resource should be fit for purpose, that it should really add value and help to meet the learning objectives. In addition, teachers would also look at characteristics such as: usability (what will make people want to use it? ); conciseness (is the resource specific to the subject is refers to); clarity of communication (including for example a good sound quality in videos); engagement; and discoverability (how easy it is to find and access it). Teachers also mentioned that the determination of quality mostly comes down to a teacher’s personal choice. This is because ultimately they would be guided by how they would use it with their students and to what end. An open resource could be of high quality but still not what one need in their course. Asked what aspects of quality the audience found most important, most teachers chose ‘source’, because if one trusts the source they trust the material, and ‘being up-to-date’ - although in this it’s important to realise that datedness may have more to do with the format, the way things are presented, than with the content itself. And this consideration may also have some bearings on the creation of open resources: should one keep updating their videos to keep them fresh and attractive for students? Teachers would also evaluate the size and length of potential resources because something too long would risk disengaging students, and copyright should definitely be checked first to avoid any frustration at not being able to use something after having assessed all other elements! It would appear then that the concept of quality in the open education context is a ‘dynamic’ one whereby resources need to ‘satisfy an ever-changing list of requirements at a specific point in time’. Should this stop teachers from creating and re-using resources? Absolutely not, was the panel response. Teachers try to educate their students the best way they can and it’s important to share the good results and the resources they have created. As engineers we can appreciate efficiency and re-use reduces duplication of efforts and frees up time, as well as helping to build a community. Teachers should also not be too concerned about making their resources ‘perfect’. It’s more important that materials are relevant and inspirational. The (technical) quality does not have to be the best, if it inspires students – and they should also learn to be critical about the material they read or view. One should make more use of the ‘good enough’ approach: is the resource I have created or about to use good enough for the goal I want to achieve in my teaching? Lowering the threshold can then bring benefits. So, in conclusion: when in doubt about creating and sharing your resources – go for it! Beside the engaging panel discussion, Open Education Week included a number of other interesting activities. For example Bea de los Arcos (Learning Developer at TU Delft Teaching and Learning Services) held a workshop to help participants explore what openness meant to them and how they would want to apply in their practices. Sign up to learn to efficiently find and use resources in your presentations, courses and programmes in Bea’s new workshop on 11 June. Teachers could also experience the new open practice platform Grasple - a recent TU Delft collaboration to create and share open math exercises - and visit the Best Practice Market where they could: learn more about Open Education at TU Delft and about copyright; discover how to create an Open Textbook in a couple of steps, and find out more about the Open Science MOOC. See all photos of the event. If you have questions or want to discuss any of the topics mentioned above contact educationsupport-lib@tudelft.nl.